The brilliant Onethirty Recordings are off to a flying start in this, their 10th year in existence, with a rather lovely release from Istanbul native Onur Özman. "Onur has been a sold player in Onethirty family since his first release "Not Enough" back in 2010, followed by "Hold On" in 2011 and "Broken Dreams" in 2012. His music has helped shape the Onethirty sound for years now! 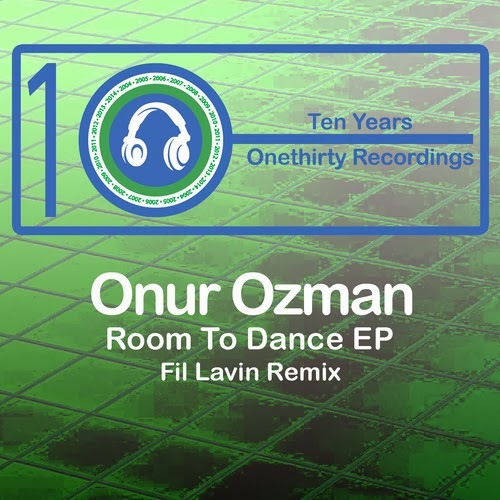 "Room To Dance" does not disappoint in staying true to both Onur's & Onethity's vibe! We are very excited to have this EP kick off the ten year anniversary, these are truly amazing tracks." The package comprises three typically clean, bright slices of bouncy house music, plus a very pleasant moody remix of "Never Can Say Good Bye" from Fil Lavin. The Room To Dance EP is out today exclusively on Beatport, and across all other stores on February 2nd.